old term for certain fibromas and leiomyomas. 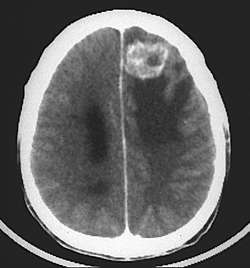 A noncancerous tumor formed of fibrous tissue. 1. having a fibrous structure; resembling a fibroma. Treatment for fibroid tumors focuses on relieving symptoms," says Dr.
Old adhesions from invasive treatments to the pelvic and abdominal area including fibroid tumors, endometriosis, and cesarean delivery are diminished when addressed by uterine massage. The occurrence of genetic aberrations in fibroid tumors is considered. The numbers are in and they don't look good: 80% of black women and 70% of white women in North America will develop benign (non-cancerous) uterine fibroid tumors by their late 40s -- so says the U. OPERATING OPTIONS: The Institute for Female Alternative Medicine invites the public to a seminar Thursday on alternative surgery for women, including a laser-assisted alternative to hysterectomy for fibroid tumors, endometriosis and ovarian cysts. Despite concerns that fibroid tumors or other uterine pathology could reduce visibility and make insertion more difficult, this has not proved to be an issue in practice. Fibroid tumors are the primary reason why 200,000 women a year in the U. The trial excluded women with previous dysmenorrhea, fibroid tumors, ovarian cysts, or endometriosis, all of which can contribute to the severe pelvic pain identified by the authors. The same ratio indicates 30,000 of the 175,000 annual hysterectomies for fibroid tumors are unnecessary. Fibroid tumors are benign (non-cancerous) growths that appear on the muscular wall of the uterus. Often called "the Black woman's epidemic," fibroid tumors, non-cancerous tumors of the uterus, affect 1. While there are theoretical concerns that pathology in the uterine cavity, such as fibroid tumors, could reduce visibility and thereby make it more difficult to insert the device, this has not proved to be an issue in practice.